When it comes to choosing the right tow bar for your vehicle, there are several things which you will need to bear in mind. Before you do anything else, you will have to establish how much weight you will be towing. Smaller trailers will weigh much less than large caravans, and this will make a significant difference to the strain put on your tow bar, and subsequently on your car. Remember to factor the weight of the contents of the trailer or the caravan as well, as all of that heavy camping gear can really add up! Check the recommended weight limit when you are choosing your tow bar to make sure that you choose one which is strong enough for your requirements. There are 3 main types of tow bar which you can choose from in the UK. The first one, and most common in this country, is the Fixed Flange Ball Tow bar. 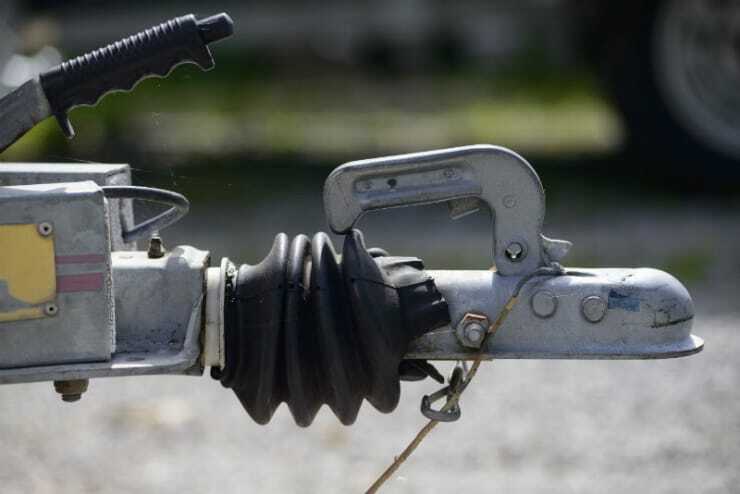 This is the most popular tow bar to be used for towing heavy trailers and caravans. It consists of a tow ball which is bolted to a plate which has either 2 or 4 holes, this will allow a 25mm spacer to be used so that extra fittings can also be attached. This particular type of tow bar will allow you to both tow a trailer or a caravan and to carry bikes on the back of your car at the same time (provided that you don’t exceed the recommended weight limit). The Fixed Flange Ball Tow bar also lets you adjust the towing height if necessary and fit a bumper shield. This is probably the most flexible type of tow bar on the market and this accounts for its considerable popularity. The second type of tow bar is the Detachable Swan Neck Tow Bar. This style is mainly used in Europe and is not as popular with British drivers. It is detachable so that it does not have to be fitted all year round, so if you find that it is getting in the way then you can only fit it as and when you need to use it. Keeping it attached to the car shouldn’t cause too much of a problem, as when installed it does not restrict access to the boot at all. Attachments are available to use this type of tow bar to carry bikes, but with the Detachable Swan Neck Tow Bar you cannot tow and carry bikes at the same time. The final main type of tow bar is the Fixed Swan Neck Tow Bar. This is not very common in the UK but is used extensively in other countries. It is the least flexible design as it is not compatible with other fittings or accessories. As is the case with the Detachable Swan Neck Tow Bar, you cannot tow and carry bikes at the same time but both are possible separately. It is the tow bar which is least likely to set off any reversing sensors which you might have on your vehicle. It is slightly more expensive than the other two types and cannot be installed if you have a bumper shield. All of these types of tow bars have their advantages and disadvantages. There is not a huge difference in price across the three, so it is simply a question of determining the requirements that you have and choosing the tow bar design which best suits your needs. The price of the tow bar and the mounting depends on which of the different types of tow bar, you choose. Therefore, you should get quotes here on Autobutler, if you want to get the specific price for your car and your choice of tow bar. However, we have looked at the potential savings when comparing offers and car-owners that compare prices on tow bar jobs on Autobutler, can potentially save 16 percent in average, which equals to 49 pounds.